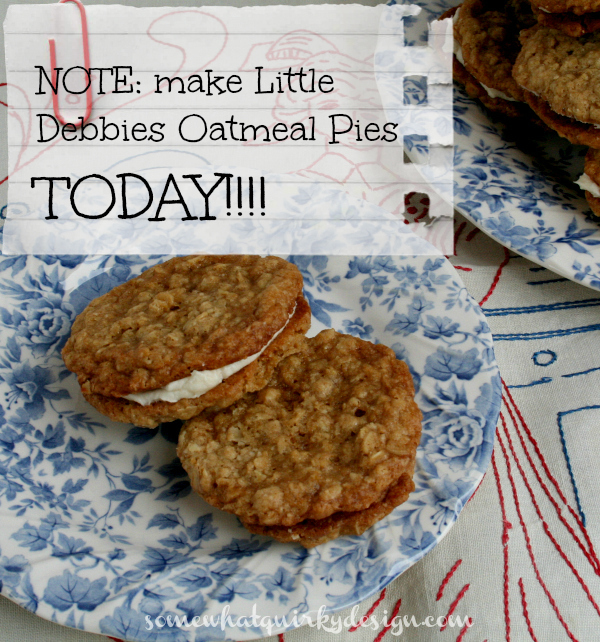 Somewhat Quirky: Homemade Little Debbie Oatmeal Cream Pies! 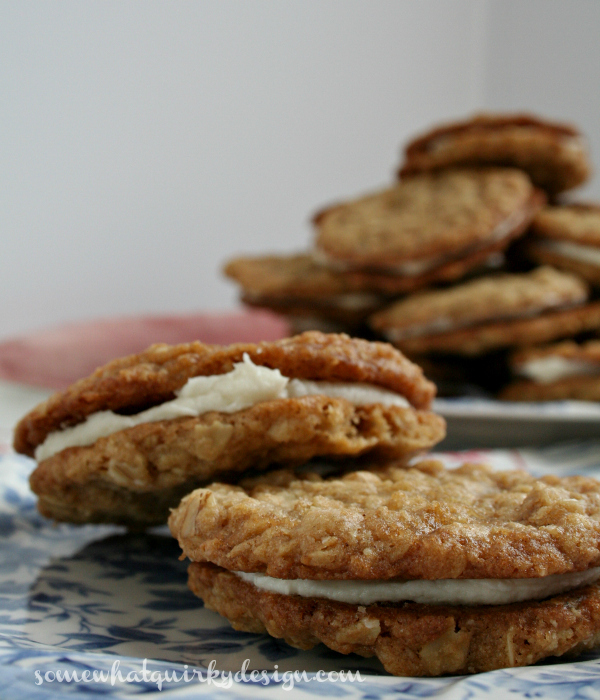 Homemade Little Debbie Oatmeal Cream Pies! These homemade Little Debbie Oatmeal Cream Pies rocked my cake/cookie/brownie/ice cream lovin world. Because there is no reason to go one more day without a Homemade Oatmeal Cream Pie! 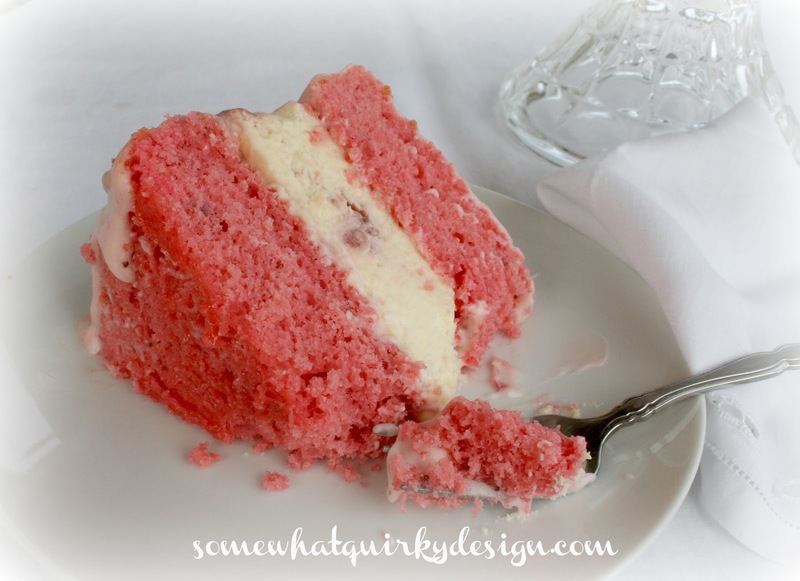 This recipe was the first thing I ever pinned. My sister made them. She posted it on Facebook and I've been staring at them ever since. It is her mother's recipe. Spoon rounded tablespoons of dough at least 3 inches apart onto cookie sheet. Match up your cookies by size so you will look like you are a good baker. Put filling between each two cookies. 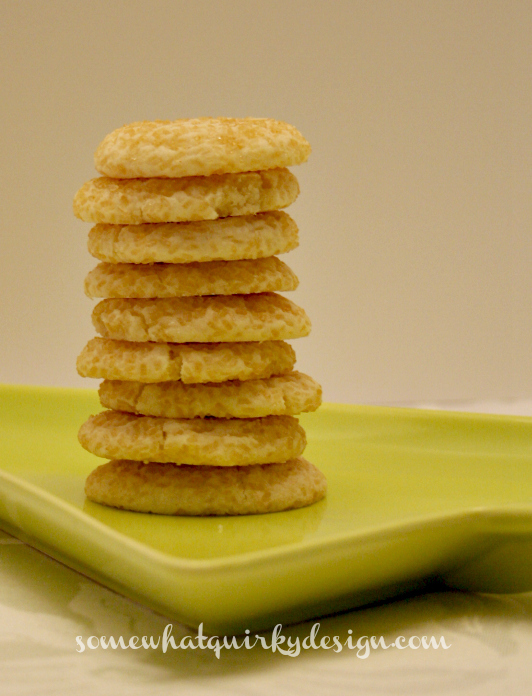 Stack em up on a plate, cover them with foil, and let them sit for just a little bit. Try to wait a couple of hours. This gives the cookies a chance to soften up a bit and the flavors to meld. Try really hard not to eat them all. You may want to hide some from the kids. I opened up the storage container I had for these this morning - to put a couple in a baggie for work - the smell was lucious. I can't wait to eat them this afternoon. So good! Thanks for sharing with us!!! I woke this morning bound and determined to stop eating sweets so my pants fit more comfortably and then you show me those gorgeous cookies. I guess I will pin them to make at a later date. These look YUM! Make sure to have one for me! Trying to watch the waist...but maybe I could make some for Easter...just this once! My hubbie is going to go nuts for these! Swoon! Your Little Debbies are keepers. 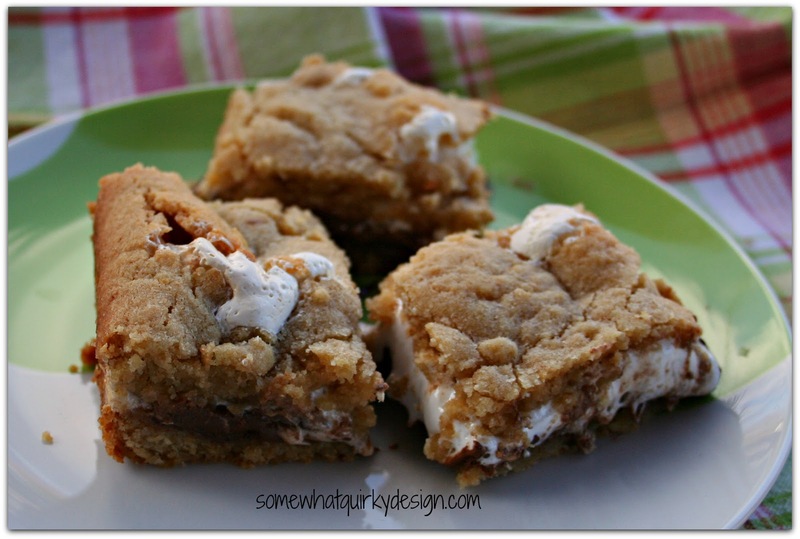 Thanks so much for contributing this recipe to Foodie Friday! I need to avoid stuff like this, but I'm hungry right now and it's hard ! It all looks so yummy, but I have to admit I probably would love the Little Debbie oatmeal cookies. Oatmeal is my favorite these days. These look so delicious! 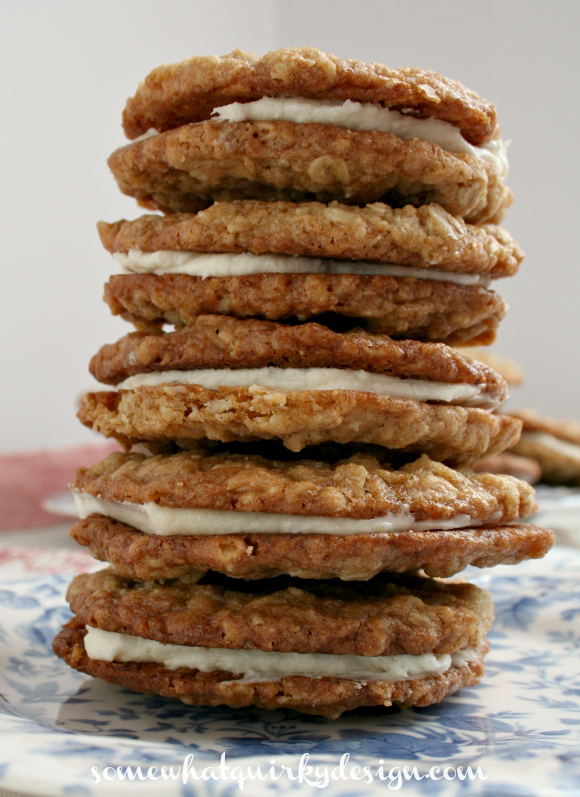 I love oatmeal cookies and am sure I would also love them with a creamy filling. glad to find this - i made this from the blooming in bainbridge site a few years ago, which is gone now. thank you for posting. 1 question: in the filling, is that 1/2 cup butter or 1/2 stick butter? thanks!